Chencho Gyeltshen, as of now, has scored six goals -- the second most by any player in the league. 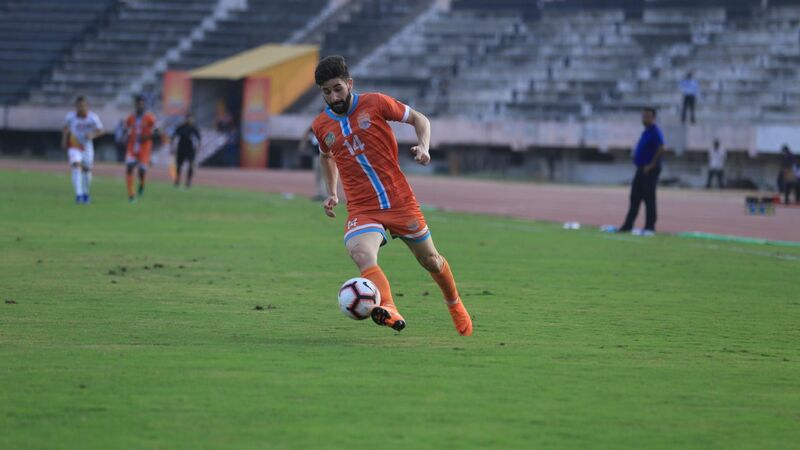 Chencho Gyeltshen knew exactly what he wanted to do on his first weekend as a professional footballer in India. A massive fan of Bollywood films, Chencho could not watch Indian films in movie halls back in Bhutan, for reasons of government policy. 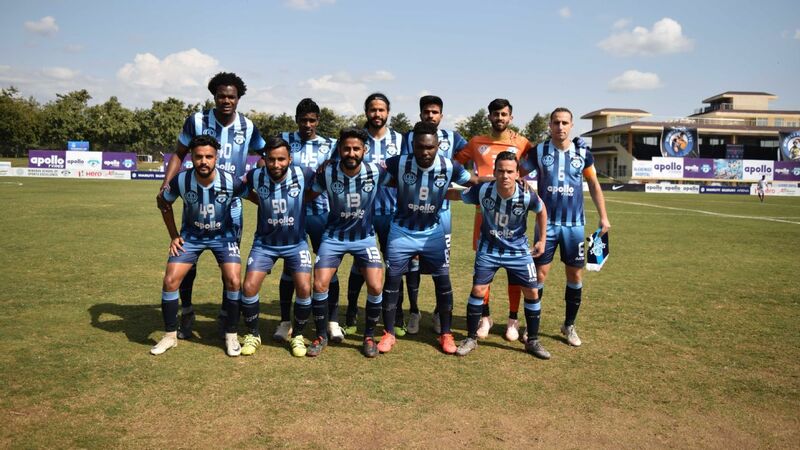 "The first thing I did was to go to the movie hall in Chandigarh," says the striker who represents Minerva Punjab FC in the I-League. The first film he caught was Aamir Khan's Secret Superstar. While he didn't know it just then, it was a choice that would prove to be apt for the 21-year old. The cinematic storyline of a young girl who emerges out of a small town, and by virtue of sheer talent takes the country by storm mirrors nearly perfectly Chencho's own journey in India. 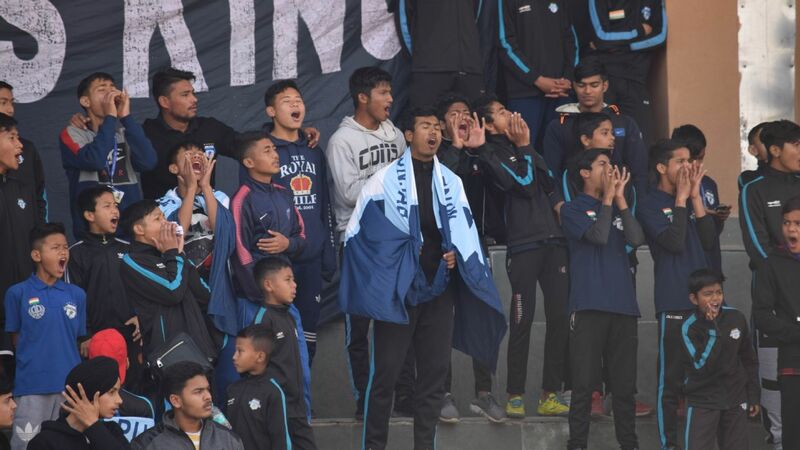 Ignored by some of the biggest clubs in India, in no small part since his national team languished for much of his career at the very bottom of the international rankings, Chencho has proved his worth as a bargain buy for Minerva. He has scored six goals -- the second most by any player in the league -- made his share of assists and has had three Player of the match awards. 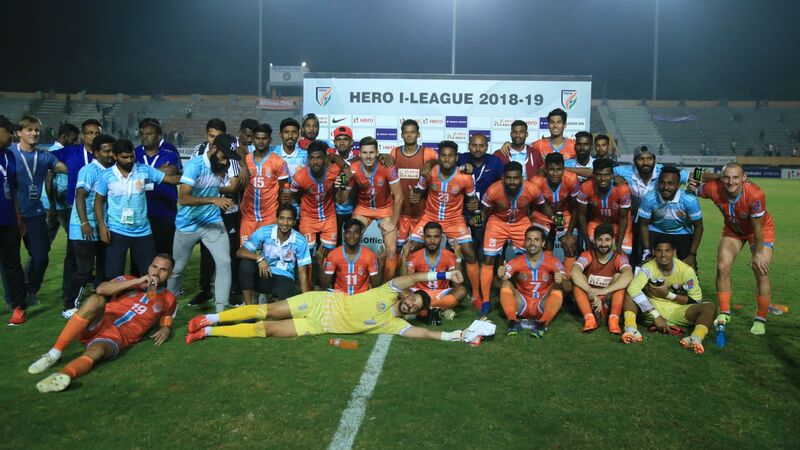 His form has been crucial to Minerva's run this season -- they are in a position where they are likely to stay in the hunt for the title, if not win it already, going into the final day on March 8 irrespective of results before that. Chencho's journey to the spotlight in India has been an unexpected if circuitous one and full of last minute lucky breaks. It begins in the village of Paro, some 50 minutes from Bhutan's capital Thimpu. The youngest of five siblings, Chencho didn't start out playing football. "I played every game I could but I was more interested in taekwondo," he says. It was taekwondo that led to his introduction to football at 11, though. "I was in Thimpu for a taekwondo camp when I saw some children playing football," he recalls. Chencho decided to give the game a try, found out he was good at it and joined a government-run academy in Thimpu. While Chencho would go on to excel in football, it wasn't the only sport he focused on. Now his country's most-capped and highest-scoring footballer, he nearly made his international debut in another field -- athletics. He is the current national record holder in the 100m, clocking 11.3s at a competition in 2014. At 17, Chencho received a wildcard to represent his country in the 2012 Indoor World Championships in Turkey. A delayed flight would eventually result in him missing out on a chance to compete in the 60m race, won by former Olympic gold medalist Justin Gatlin. "It was just bad luck that I couldn't compete. And they didn't even let me take a picture with Gatlin," recalls Chencho. Chencho's brace against Sri Lanka in 2015 during the first round of qualification for the 2018 World Cup lifted Bhutan off the bottom of the FIFA rankings. It's that searing pace that is key to Chencho's success much as it is for his hero -- Cristiano Ronaldo. But while he now wears the same number 7 jersey as the Real Madrid striker, Chencho has struggled for even a fraction of the support enjoyed by his icon. After playing for three local clubs in Thimpu, he felt he was stagnating. "All the clubs in Bhutan clubs are amateur clubs. You don't have any team bonding because many of the players are studying or working. I think I am the only person in Bhutan who makes a career out of football," he says. Chencho's drive would in fact become the first Bhutanese player to play for a foreign club, representing Thailand League 1 club Buriram FC. He was not initially expected to play, having only gone for a month-long training stint with the club. "At the last moment, I asked in a preseason match to let me play one match," he says. Chencho got only the tiniest window of opportunity but he made the most of the chance. "In that match, I got to play in the 80th minute and I scored in the 85th. After that match, I got an opportunity to play in the main season," he recalls. Since that first break, Chencho would play for a couple of second division Thai teams as well as Chittagong Abahani in Bangladesh a couple of seasons ago. 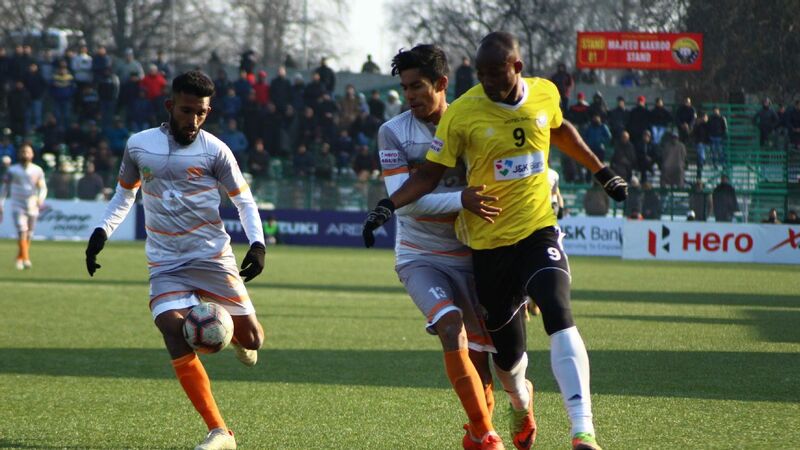 He would also play an increasingly prominent role for the Bhutan national team -- his brace against Sri Lanka in 2015 lifting his side off the bottom of the FIFA rankings. Yet Chencho's 10 goals in his 28 matches don't seem to carry the same weight as they should, simply because these have come for the Bhutan team. This was most apparent when he sought interest from the two big Kolkata clubs -- Mohun Bagan and East Bengal. "When my agent approached them, they didn't show any interest because they underestimated me," he says. Bagan's disinterest was particularly perplexing -- he had scored a brace against them as an 18-year-old at the 2014 Kings Cup. Minerva were the only club that showed an interest. Club owner Ranjit Bajaj says they had been chasing him for a while. "I was interested in hiring him ever since I saw his international goals but he was always too expensive for us. So when I learned he was interested in getting a foothold in the Indian league, I agreed," he says. And while it is learnt that he took a significant pay cut to sign his year-long contract, Chencho believes it was worth it. "This club is not very famous but it gave me a chance. Ranjit told me on the first day that I was his goal machine," he says. While he has fulfilled that role, the fact that he was not considered a major threat at first has served as an advantage. "The other teams didn't really think they had to mark me at first. But when I started scoring, they quickly had to change. When one or two players mark me, or when they try to foul me, it makes my job harder but it also makes me proud. It shows how much they respect me," he says. 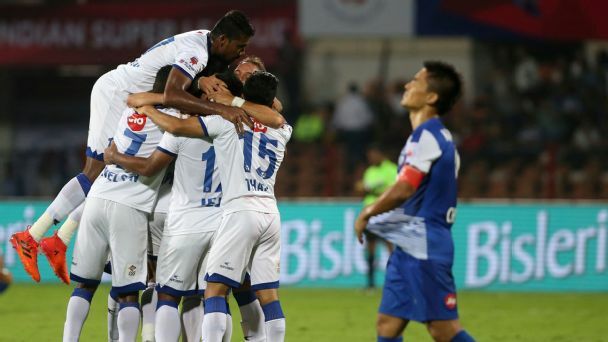 Chencho's season began with a hat-trick in a pre-season friendly against Bengaluru FC, but he has not had as much success of late with opponents looking to deny him. 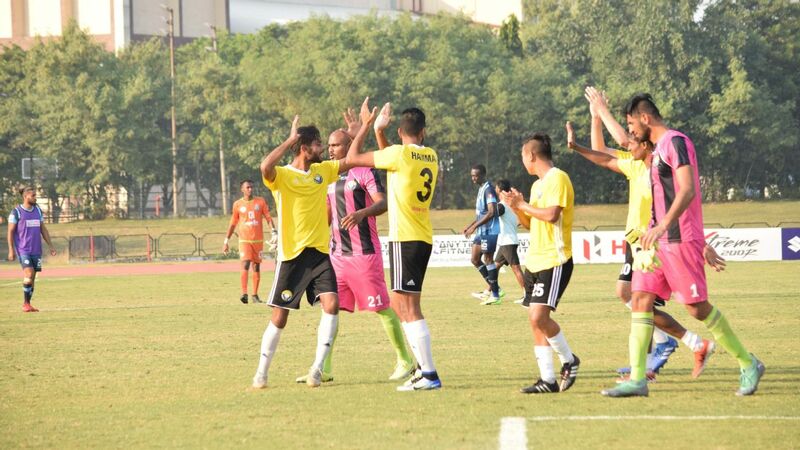 Minerva too have suffered a blip in form, losing their last two games with Chencho failing to make an impact. Yet he believes there is little reason to worry. "I've had it much tougher before. When I was playing for Bhutan, I would sometimes feel it was very hard to score because I had to create the opportunities and score all by myself. It was just really hard to be a football player there. But I had a lot of passion." "As long as you work hard and believe in yourself, anything is possible. I really believe in myself," he says.